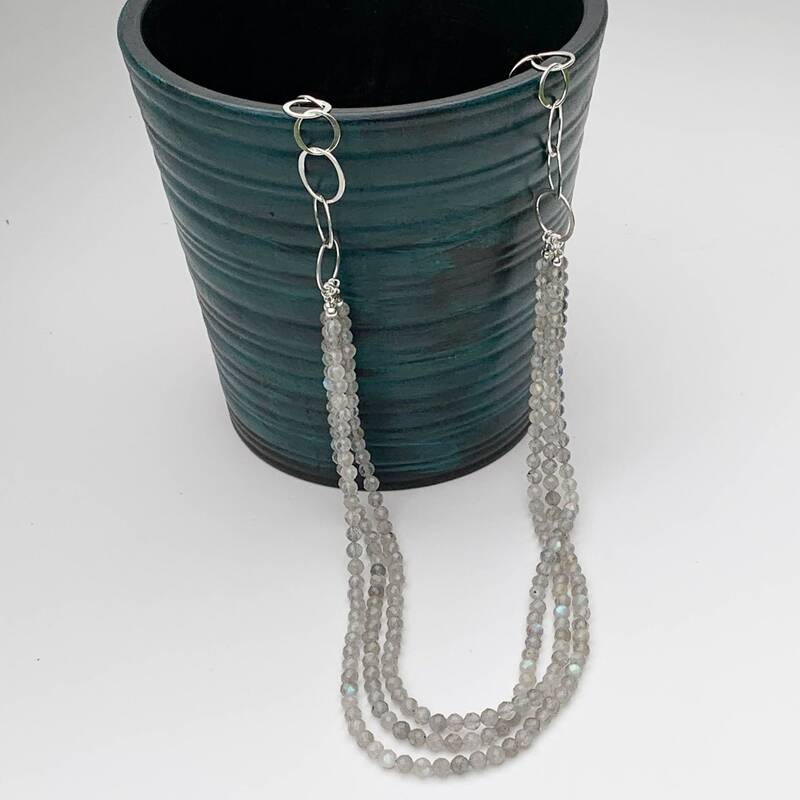 * Total length is 27" adjustable to 29" with a built in 2" extender and lobster claw clasp. 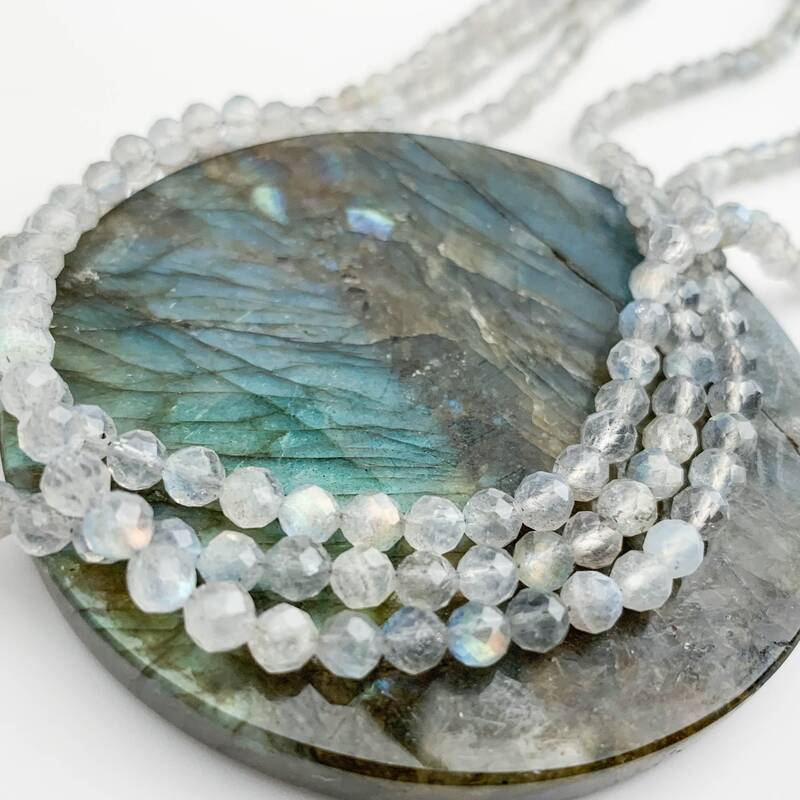 * Handmade with natural labradorite gemstones and solid sterling silver. 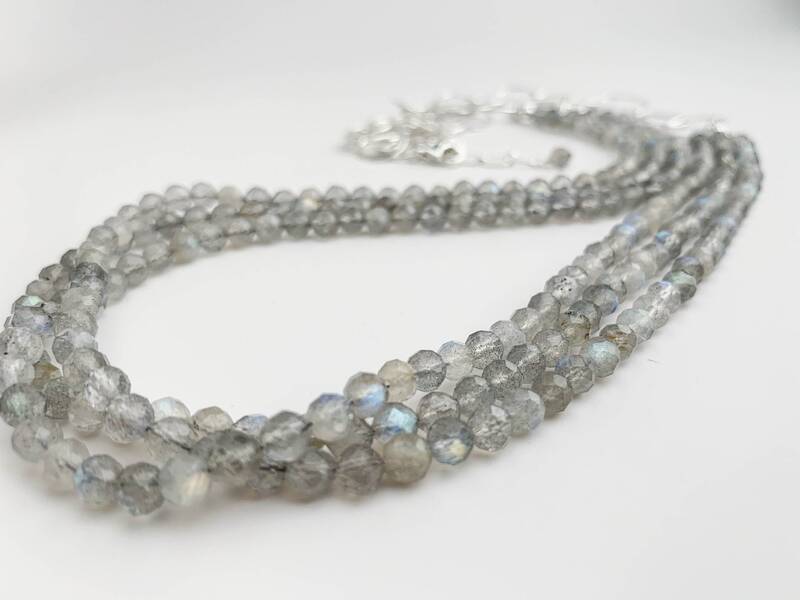 This gorgeous multi strand necklace was handmade with natural labradorite gemstones and solid sterling silver. 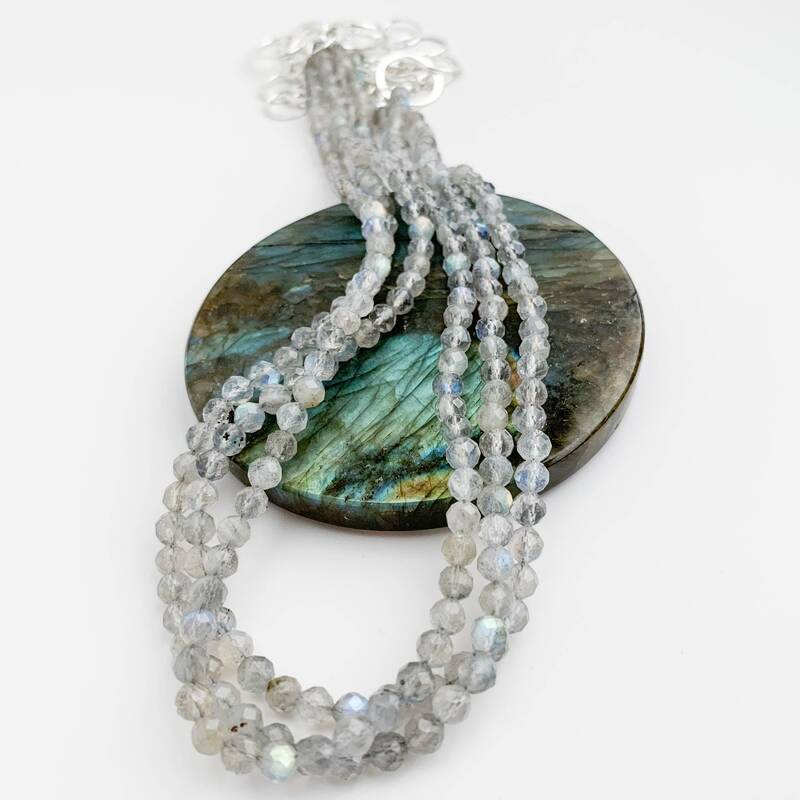 There are three strands of faceted gem quality labradorite stones with beautiful flashes of blue, green and gold. 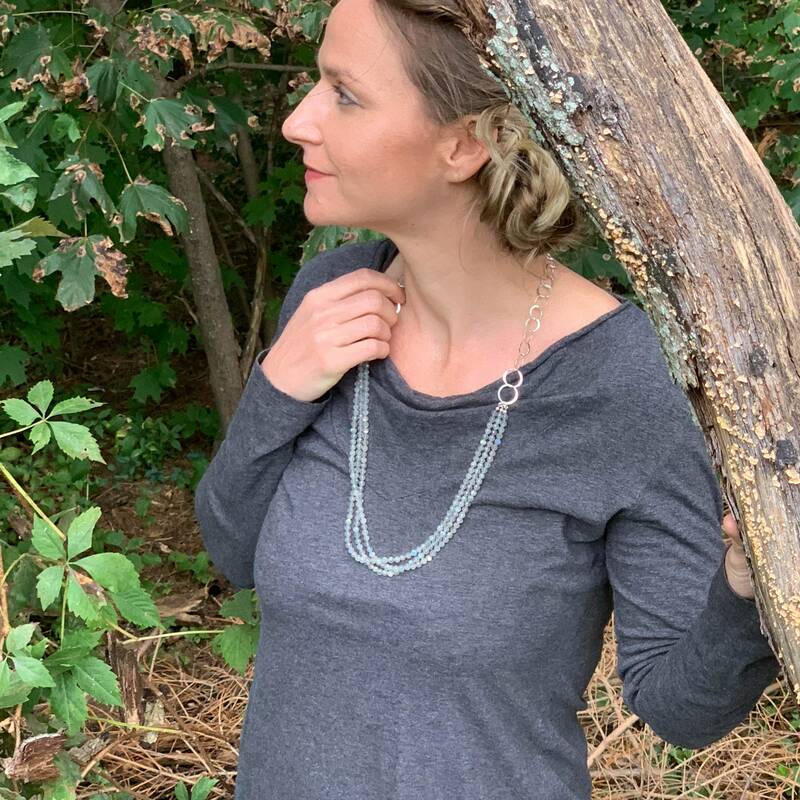 The back of the necklace is a handmade chain created with multiple circles that have been formed, soldered and hand hammered for dimension. 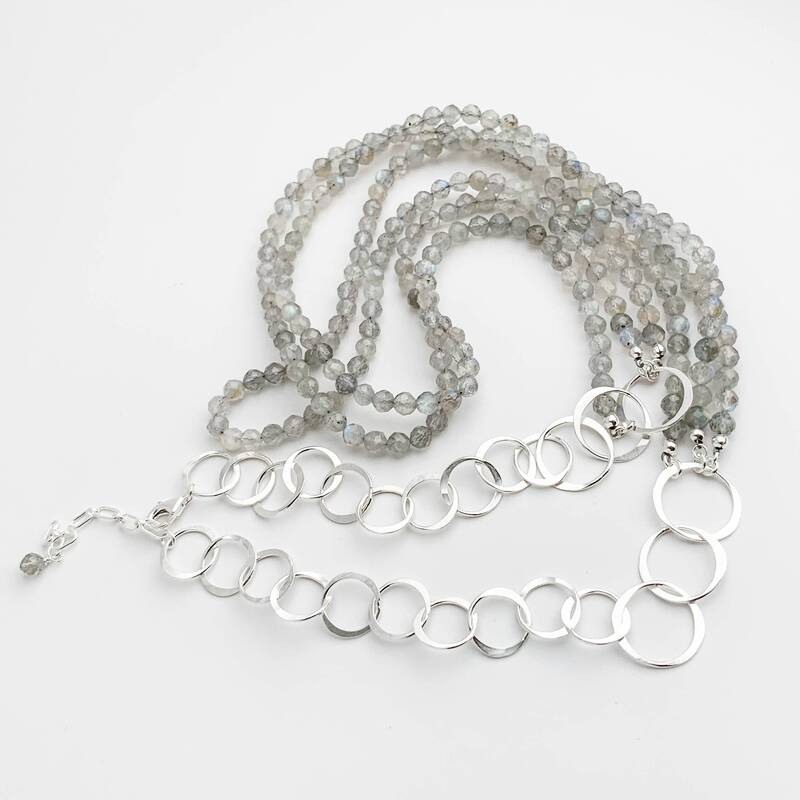 The chain is given a high polish to catch the light just right. 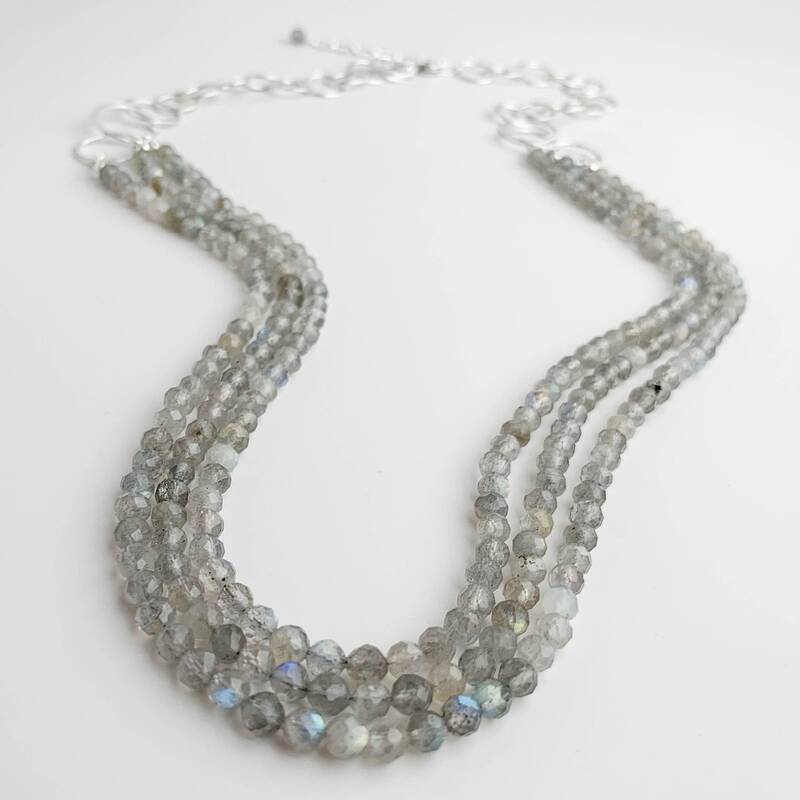 My wife loves this necklace, it's very beautiful and well made. 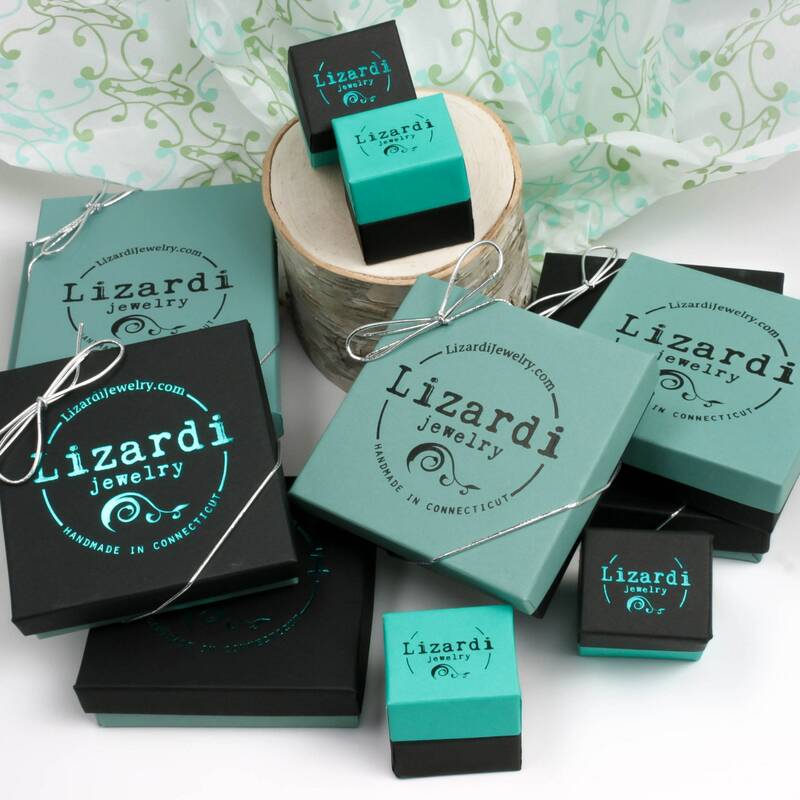 It was shipped fast and we had great communication with the seller. We are very happy and will be buying from this artist again! Thank you so much!!! 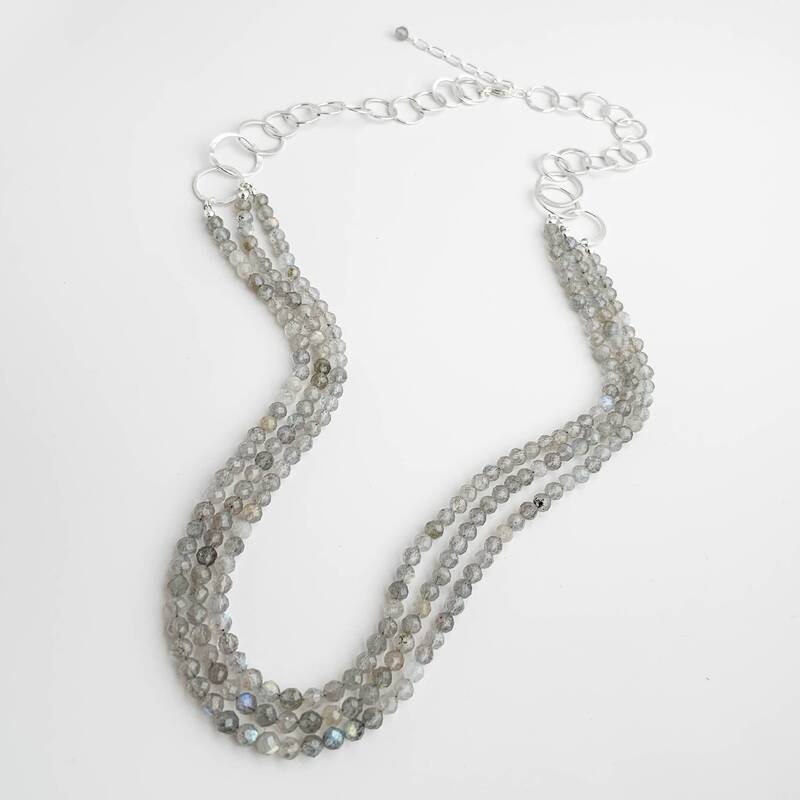 This is a spectacular necklace that I cannot wait to wear!